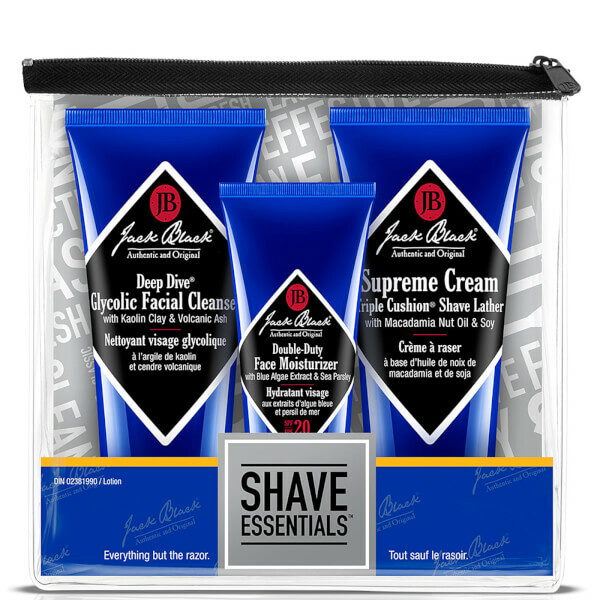 Jack Black present the Shave Essentials Set; a grooming trio that work in tandem to cleanse, hydrate and promote a high-performance shave. Housed in a zipped bag. A purifying, multi-purpose face wash that can also be used as a deep cleansing mask. Harnessing the powers of Glycolic Acid and Kaolin Clay, the lightweight formula effectively buffs away pore-clogging oil and dirt to unveil a fresher, smoother complexion. Volcanic Ash and Vitamin E provide antioxidant protection to promote overall skin health, whilst a dose of Aloe Vera soothes and moisturises for long-lasting comfort. Formulated with the brand's Triple Cushion technology, the thick textured shave cream combines Macadamia Nut Oil, Glycerin and Soybean Oil to help minimise razor burn, irritation and nicks. Suitable for use with or without a shaving brush, the lathering cream is enriched with antioxidant-rich Edelweiss and Plantago Leaf Extracts to comfort and protect. Its PureScience® formula contains certified organic ingredients and allows the razor to glide effortlessly over skin, without clogging the blade. An ultra-hydrating cream to improve the skin's appearance without weighing greasy residue. Powered by Blue Algae and mineral-rich Sea Parsley, the lightweight, fast-absorbing formula delivers long-lasting moisture and hydration, whilst providing broad spectrum UVA/UVB protection to shield from premature ageing, sun exposure and environmental aggressors. Skin feels smooth and comfortable around the clock. Cleanser: Apply to moist skin, lather, and rinse. 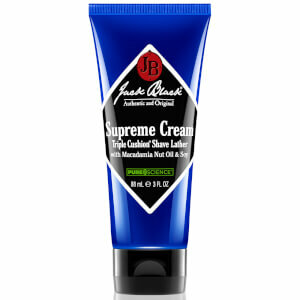 Shave Cream: Apply to moist skin in a circular motion with fingertips or shave brush. 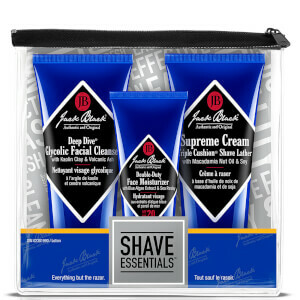 Moisturiser: Apply daily to a clean face and neck after shaving. Cleanser: Water (Aqua), Kaolin, Glycerin, Sodium Methyl Cocoyl Taurate, Magnesium Aluminum Siclicate, Volcanic Ash, Aveena Sativa (Oat) Kernel Meal, Sodium Chloride, Acrylates Copolymer, Glycolic Acid, Arnica Montana (Wolf’s Bane) Flower Extract, Rosmarinus Officinalis (Rosemary) Leaf Extract*, Camellia Sinensis (Green Tea) Leaf Extract*, Olea Europaea (Olive) Leaf Extract*, Allantoin, Aloe Barbadensis (Aloe Vera) Leaf Juice, Panthenol, Chamomilla Recutitia (Matricaria) Flower Extract*, Tocopheryl Acetate, Helianthus Annuus (Sunflower) Seed Oil*, Calendula Officinalis (Pot Marigold) Flower Extract*, Tocopherol, Disodium Cocoamphodiacetate, Coconut Acid, Phenoxyethanol, Caprylyl Glycol, Sodium Hydroxide, Ethylhexylglycerin, Hexylene Glycol, Epilobium Angustifolium Flower/Leaf/Stem Extract, Tetrahexyldecyl Ascorbate, Chlorphenesin, Sodium Metabisulfite, Benzoic Acid, Sorbic Acid. *Certified Organic. Shave Cream: Water (Aqua), Sodium Lauroyl Sarcosinate, Stearic Acid, Myristic Acid, Palmitic Acid, Potassium Hydroxide, Lauric Acid, Glycerin, Macadamia Ternifolia (Macadeamia) Nut Oil, Simmondsia Chinensis (Jojoba) Oil, Glycine Soja (Soybean) Oil, Peucedanum Ostruthium Leaf Extract*, Buddleja Davidii Leaf Extract*, Artemisia Umbelliformis Extract*, Leontopodium Alpinum (Edelweiss) Extract*, Calendula Officinalis (Calendula) Flower Extract, Rosmarinus Officinalis (Rosemary) Leaf Oil, Pelargonium Graveolens Flower Oil, Anthemis Nobilis Flower Oil, Cocos Nucifera (Coconut) Oil, Cetyl PEG/PPG-10/1 Dimethicone, Perfluorononyl Dimethicone, Phenoxyethanol, Disodium EDTA, Butylene Glycol, Iodopropynyl Butylcarbamate, Xanthan Gum. *Certified Organic. Moisturiser: ACTIVE: Octinoxate 7.50%, Avobenzone 2.20%. OTHER: Anthemis Nobilis Flower Oil, Butylene Glycol, Calendula Officinalis Extract*, Carbomer, Cetearyl Glucoside, Citric Acid, Cyclopentasiloxane, Dimethcone, Disodium EDTA, Glycereth-26, Glycerin, Haslea Ostrearia Extract, Hydroxyethyl Acrylate/Sodium Acryloyldimethyl Taurate Copolymer, Hydroxypropyl Starch Phosphate, lodopropynyl Butylcarbamate, Lavandula Angustifolia (Lavender) Oil, Lecithin, Leontopodium Alpinum Extract*, Linalool, Melissa Officinalis Leaf Extract, Octyldodecyl Neopentanoate, Palmaria Palmata Extract, Pelargonium Graveolens Flower Oil, Phenethyl Benzoate, Phenoxyethanol, Plantago Lanceolata Potassium Sorbate, Pyrus Malus (Apple) Fruit Extract, Retinyl Palmitate, Rosmarinus Officinalis (Rosemary) Leaf Oil, Sodium Benzoate, Sodium Hyaluronate, Sodium Hydroxide, Tocopheryl Acetate, Water (Aqua). *Certified Organic.